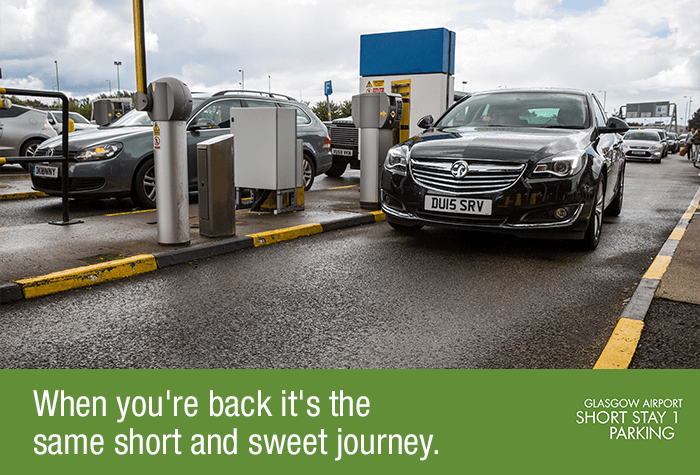 This handy car park is right over the road from the terminal, less than a five-minute walk. As if that wasn't good enough, staff patrol regularly, 24 hours a day. Between patrols, there's CCTV in use as well. 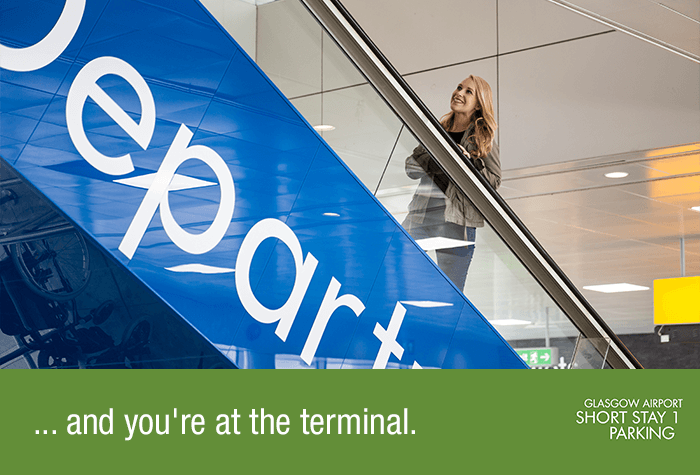 For easy access to the terminal, this is the right choice. Everything went great would have like to be able to change my pick up time a little later though. Parking very close to terminal. Straight in and out of car park. Our customers rated Short Stay on average 9/10 (996 reviews). Read Short Stay reviews. Short and sweet parking at Official Short Stay 1. 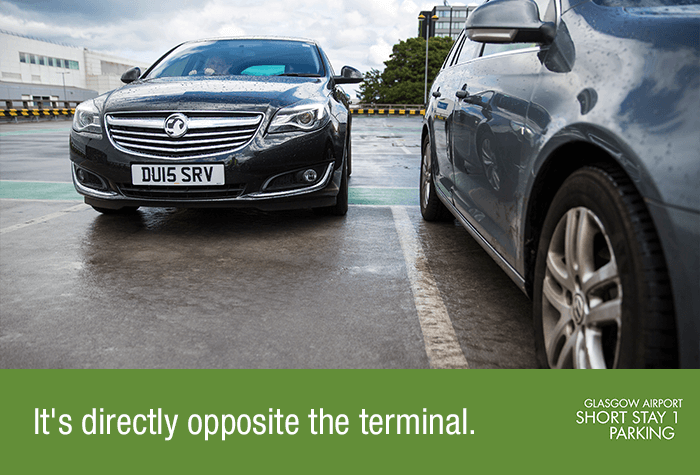 It's the closest car park to the terminal - just a 2-minute walk away. If convenience is number one to you, Short Stay is an easy choice. Directly opposite the terminal, it's the closest car park to the airport. 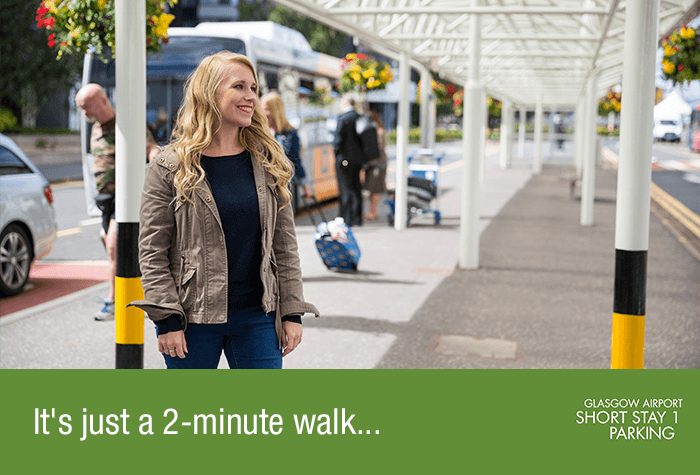 In fact, it's just a two-minute stroll away. Parking itself is just as straightforward. Your registration will be automatically recognised on your arrival. 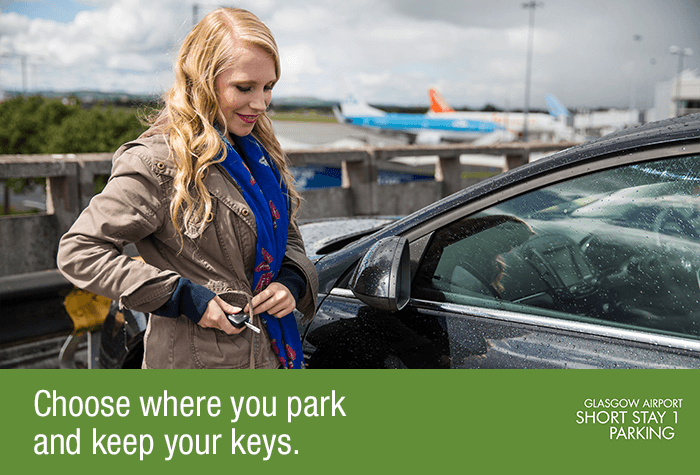 Choose exactly where you park and keep your keys. Your car will stay exactly where you leave it. 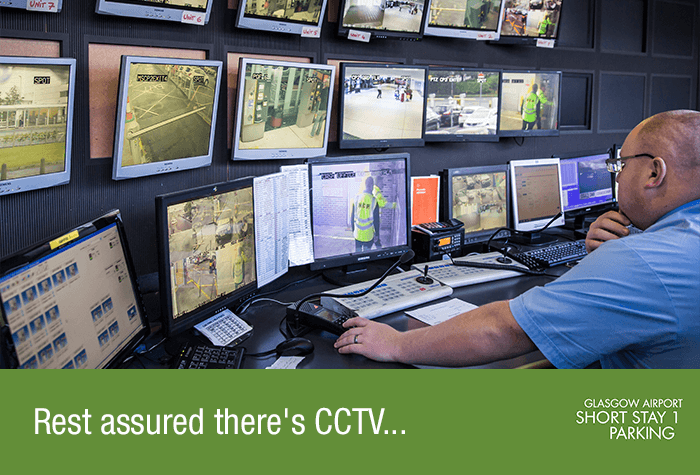 While you're away, there's 24-hour staff patrols, floodlighting and CCTV. 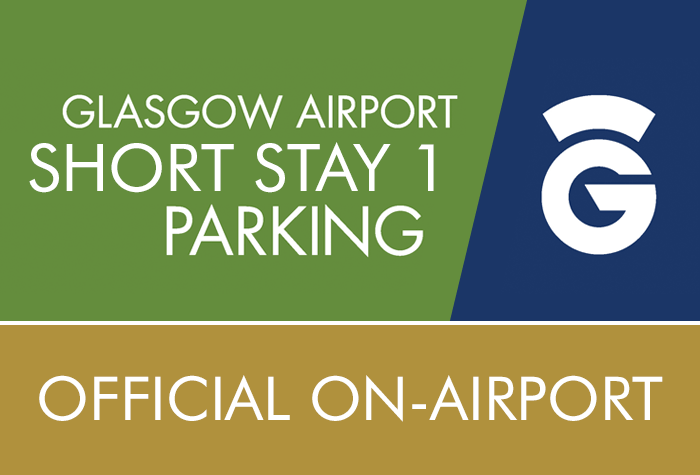 And since it's an official Glasgow airport car park, you'll have the comfort of knowing you're getting secured parking right on the airport grounds. Accessibility - The car park has 10 Blue Badge spaces with a help point. When you arrive: The barrier will read your number plate and give you a ticket. Keep hold of this then park up and keep hold of your keys. It's just a short walk to the terminal. 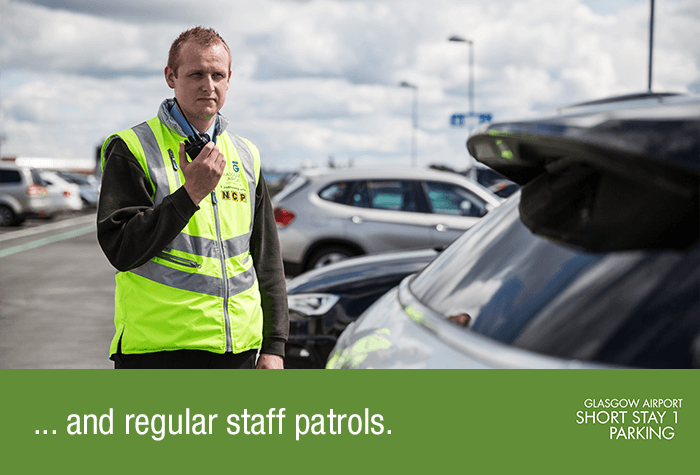 While you're away: The car park is patrolled by staff regularly, 24 hours a day and CCTV is in use. When you get back: Walk back to the car park and use your ticket to leave.